In its everlasting quest to deliver more data using smaller and lower cost components, the silicon industry is moving full steam ahead towards its final frontiers of size, device integration and complexity. 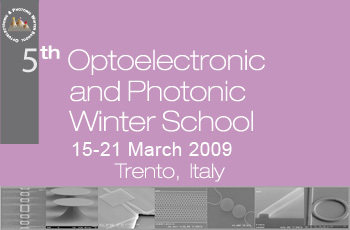 For several years, silicon-based photonic devices have been widely considered to develop integrated circuits to overcome the microelectronic bottlenecks by combining existing silicon infrastructure with optical communication technology, and a merger of electronics and photonics into one integrated dual-functional device. The challenge for silicon photonics is to manufacture low-cost information processing components by using standard and mature CMOS technology. Numerous photonic devices have already been developed in the last years to emit, propagate and distribute, modulate and detect light on silicon substrates. However, several obstacles should be overcome to foresee silicon photonics for the next generation high-speed systems.